The Vodafone Malta Foundation recently organised a PlayStation Football Tournament at Talbot & Bons in SkyParks Business Centre, where employees played FIFA 14 to collect funds for the purchase of the football kit for Team Maroons. Team Maroons is a football team of a total of 15 players who are diagnosed with down-syndrome, autism and cerebral palsy. “Our main aim behind the tournament was to increase awareness both internally and externally about Team Maroons. The concept behind the team is that Together Everyone Achieves More. We want to help the team become better individuals by gaining confidence in their own abilities, improving social skills and learn to work as a team through football aqnd hope that the funds will help them to do just that,”said Roberta Pace, at Vodafone Malta. 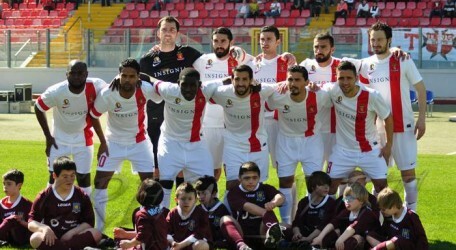 Team Maroons thanked the Vodafone Malta Foundation for their support.